This Tiger Snake (Notechis scutatus) was looking decidedly sluggish when spotted the other day with the temperature only 14°C. It stayed motionless for a long time , despite our moving out of its view, before slithering off very slowly indeed. 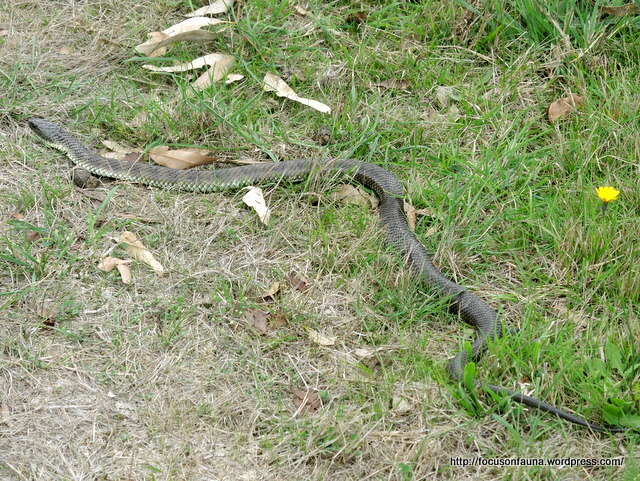 The colouration of Tiger Snakes is quite variable and the banding on the body is not always obvious. To confuse matters, juvenile Eastern Brown Snakes can show some banding. One of the distinguishing features is the frontal shield (large scale on the centre of the head), which in the Tiger Snake is about as wide as long, whereas the brown snake’s shield is longer than it is wide. 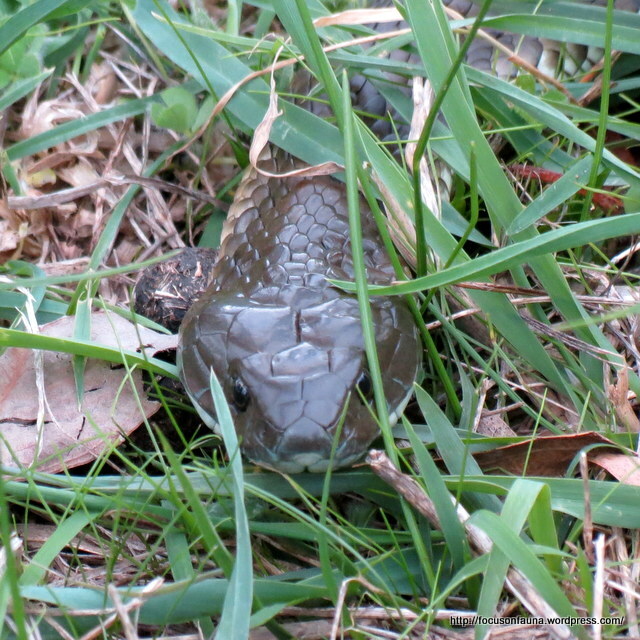 Fortunately, with a super-zoom camera you can get a clear view of a snake’s head without fear of getting bitten – see picture at right.